The $12.5 million Staybridge Suites (located in the heart of the downtown convention district) is targeting an early 2019 opening and will feature more than 100 rooms focusing on extended-stay guests. One- and two-bedroom suites will also be available with full kitchens, meeting space, a fitness center, a business center, a convenience store and an outdoor living room with a fire pit. For more information, click here. Located just a block from the Equal Justice Initiative’s memorial, 2019 will see the beginning of construction for a new 80-suite boutique hotel. The Hilltop Suites & Spa will be home to multiple restaurants, a spa, 6,000 square-feet of meeting and event areas and a rooftop bar and lounge featuring breathtaking views overlooking downtown Montgomery and the Alabama River. The long-vacant Hilltop Arms apartment building will be the site for this new hotel. Montgomery’s historic Murphy House downtown will soon be developed into the state’s third Marriott Autograph Collection Hotel property- joining a list that includes The Elyton in Birmingham and The Grand Bohemian in Mountain Brook. The luxury, boutique hotel will begin construction in 2019 and will include 84 rooms and suites, while also offering restaurant and corporate meeting space. Set to open first quarter 2019, Tower Taproom will become the first self-pour beer concept in Alabama, offering over 40 beers, wines and ciders that patrons can pour by the ounce using an RFID card. The taproom will also be come to a selection of unique specialty burgers, salads and sandwiches for guests to enjoy with their drinks. A private event space below the taproom will also be available for booking shortly after its opening. For more information, visit www.towertaproom.com. Keep up to date on opening day progress via Facebook and Instagram. In December 2019, Montgomery will commemorate its 200th birthday along with the state of Alabama with ALABAMA 200, a chance for locals and visitors to celebrate with a variety of educational programs, community activities and statewide initiatives that teach, inspire and entertain. For more information and a schedule of ALABAMA 200 activities and events occurring in Montgomery all year long, please visit www.alabama200.org. Montgomery will host the Mardi Gras event in Montgomery and everyone is invited. The event is free and tasting tickets will be on sale soon for the Cajun Cook-off. This downtown event promises to put the spicy spotlight on downtown Montgomery. The Equal Justice Initiative is looking to possibly add a restaurant, more retail space and a bus shuttle station to its Legacy Museum. Displaying the history of slavery and racism in America, the Legacy Museum will be celebrating its one-year anniversary in April. The Museum is founded by Montgomery’s Equal Justice Initiative as a counterpart to the National Memorial to Peace and Justice, is dedicated specifically to the memory of the victims of lynching and has already seen more than 200,00 visitors since its opening. For more information on the Legacy Museum, visit www.museumandmemorial.eji.org. Montgomery will soon offer expanded free Wi-Fi in the downtown area as part of the community’s ongoing technology initiative. The service is powered by the Montgomery Area Chamber of Commerce, the City of Montgomery, Montgomery County and Alabama Power Company. For more information on Montgomery, please visit www.visitingmontgomery.com. For high res. images of Montgomery, click here. Situated on the banks of the Alabama River, Montgomery is the capital and the second largest city in the state of Alabama. Established in 1819, Montgomery has been the site of major historic events which have shaped the history of the United States. Emerging from its agricultural roots in the 19th century, Montgomery transformed from the Cradle of the Confederacy to the birth place of the Civil Rights Movement in less than a century. 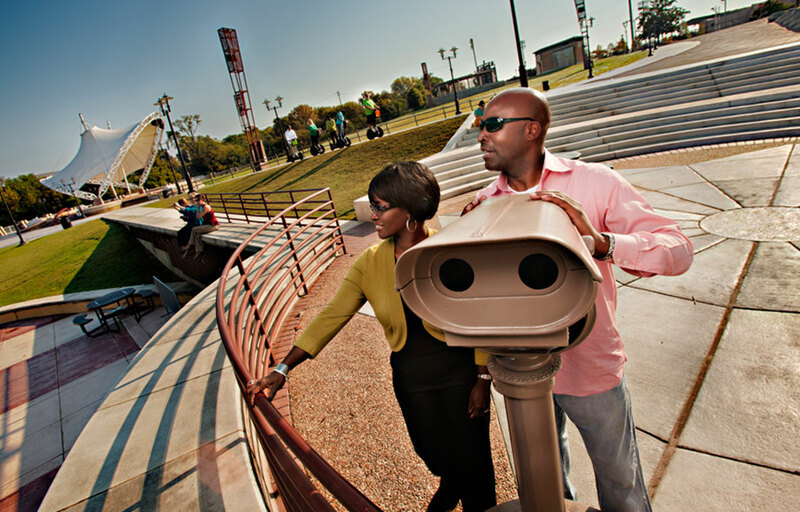 Today, this vibrant river town is experiencing a resurgence which has seen its downtown revitalized and has reestablished itself as a landmark Deep South destination. Montgomery Regional Airport (MGM) offers non-stop flights on Delta Airlines and American Airlines. For more information, call 334-261-1100 or visit the official website of the Montgomery Convention and Visitor Bureau at www.visitingmontgomery.com. Stay connected with Montgomery on Twitter and Facebook.